Bill Galvin and Josh Zakim. Massachusetts Secretary of State Bill Galvin soft-pedaled his reputation as the state’s lone pro-life statewide officeholder in a debate with challenger Josh Zakim, who is running hard to Galvin’s left in an effort to sway liberal voters in the Democratic primary. As a state representative from Brighton, Galvin voted in 1983 and 1984 to amend the state constitution to restrict abortion. His current job, Secretary of State, which he has had since 1995, has nothing to do with abortion, but Zakim, a Boston city councilor who lives in the Back Bay, is using the issue as a wedge to appeal to left-wing voters. 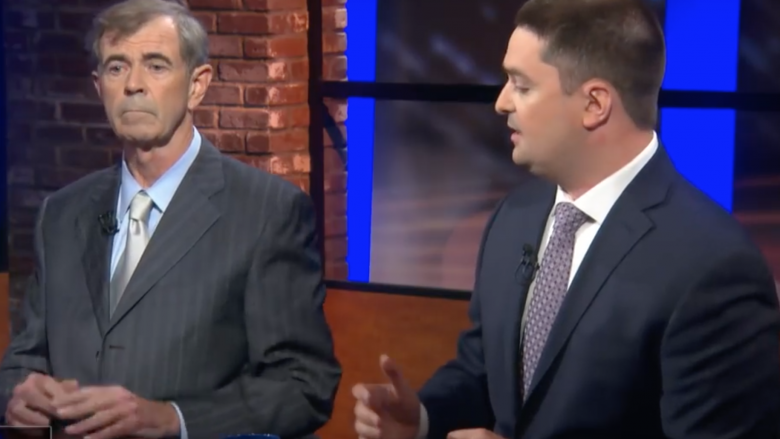 Galvin and Zakim debated Tuesday night on host Jim Braude’s show Greater Boston on WBGH-TV Channel 2. Braude at one point noted that Zakim has been unable to describe an instance where the Secretary of State deals with abortion. “Why do you even bring it up, just to burnish progressive credentials, or …?” Braude asked. The Massachusetts Secretary of State oversees elections, public records, archives, and the state’s Historical Commission, among other things. Zakim, 34, has been trying to frame the 67-year-old Galvin as a dinosaur with an iron-grip on the office who has failed to implement progressive reforms to make voting and registering to vote easier. But Galvin says he has worked aggressively to make voting more accessible. 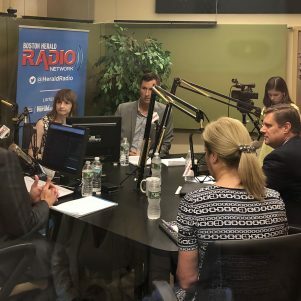 During the debate the two candidates disagreed on little substance when it comes to voting process – Galvin and Zakim both support same-day voter registration and the state’s recently enacted motor-voter law, for instance. But Zakim described Galvin as a “recent convert to a lot of positions I’ve taken and am running on in this campaign.” He argued that the state’s lack of a law mandating early voting in all elections in Galvin’s fault because he hasn’t pushed the state Legislature hard enough to get it enacted. 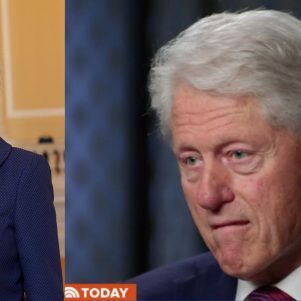 “For Bill to say that he has been a proponent of every progressive electoral reform is absolutely false. 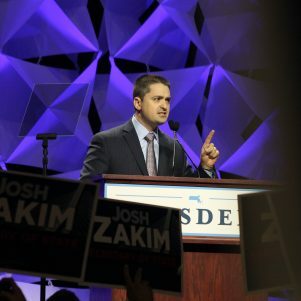 He led the charge in the state legislature against mail-in voter registration, claiming it would lead to fraud and illegal voting,” Zakim said. Galvin said a mail-in system wasn’t possible 35 years ago because there was no central voter registry, but that he built such a registry as Secretary of State, which made it possible. “I have never seen you at a hearing, ever ,for same-day or for anything else,” Galvin said turning to Zakim. “Well I haven’t seen you at our city council discussions on the same topic,” Zakim said. “Well Bill, that’s a complete misapprehension and insult to everyone on the Boston City Council and city councils around the state, who are a legislative body …” Zakim responded. The primary is Tuesday, September 4.